In this post I’ll give an overview of the Tabletop Games category on kickstarter and more specifically hte most funded Tabletop Games kickstarters in January 2019. 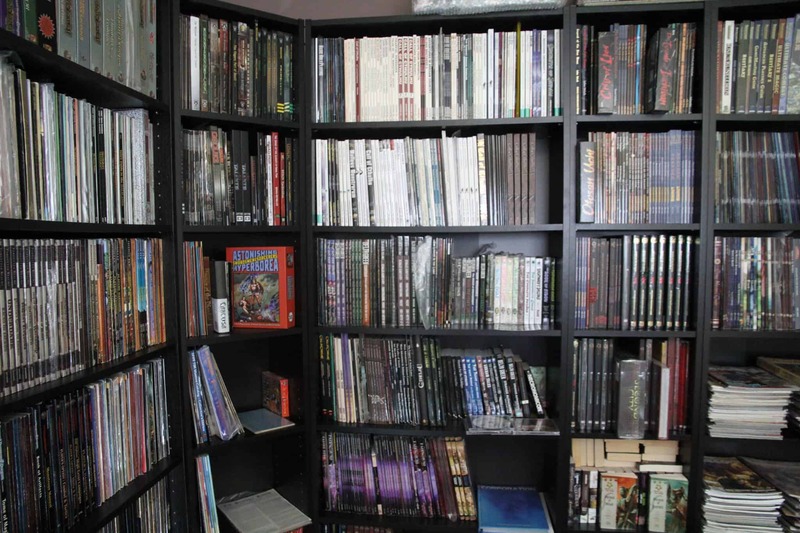 My main focus will be boardgames and RPGs and I have to add that I’m only checking the Tabletop Games category. I’ve noticed that an RPG supplement like Dice Roll Denizens was posted in the Games category so it won’t be included in this overview. This website is still just a 1 person operation so I have to limit the time spent tracking all these kickstarters somehow. 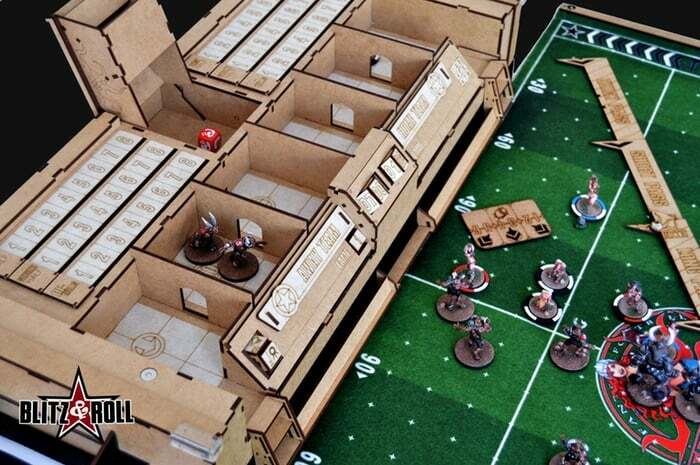 A total of 146 kickstarters were launched in the Tabletop Gaming category in the first month of 2019. 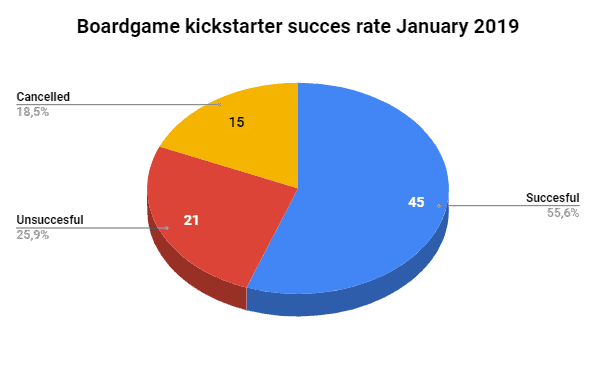 Of those 146 kickstarters, 70% got funded with 25 kickstarters (or 17%) not reaching their funding goal and 18 kickstarters getting cancelled by their respective creators prior to the end date of the project. 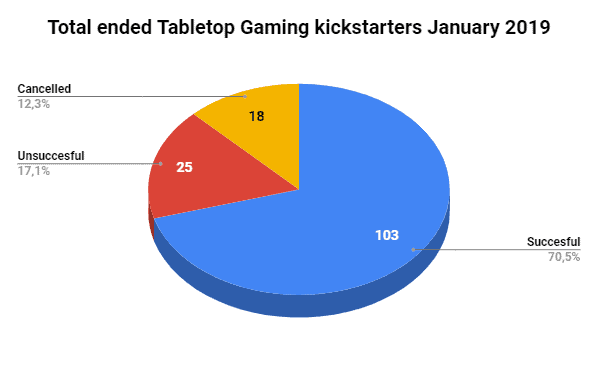 If we take a closer look at what exactly is being funded, we can see that little over half of the kickstarters in the Tabletop Gaming category are Boardgames. 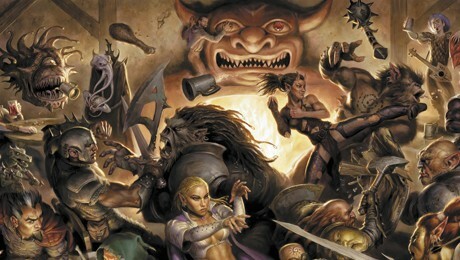 The second biggest slice of the pie is reserved for RPGs which take up 16% of the total. 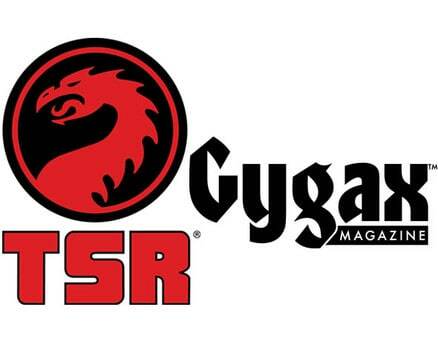 Here I need to clarify that in the RPG category for me are only RPG supplements. This means actual books (or pdfs). 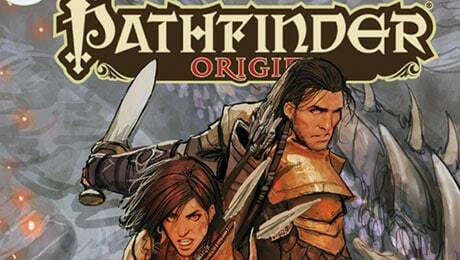 Items like maps, scenery, cards, or character sheets are all in the Other category. 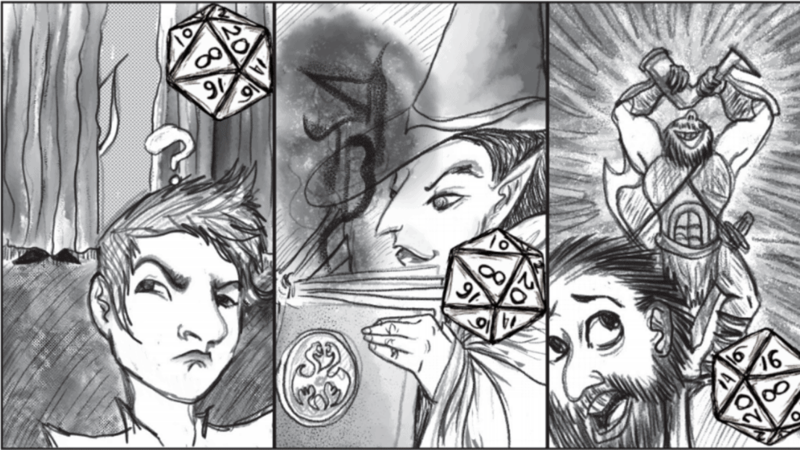 The third biggest slice is for Miniatures with 11% of the total followed by Dice kickstarter with almost 5%. 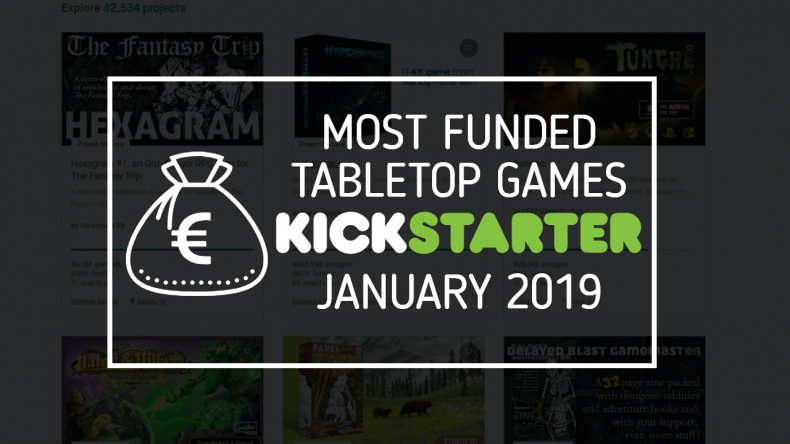 The Other category has 17 kickstarter projects and includes painting utensils, art, music, and playmats on top of the already mentioned items above. 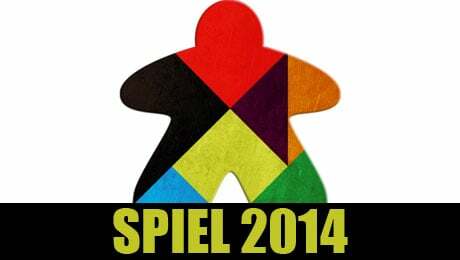 If we look at the succes rate of Boardgames specifically we see a 55% succes rate. 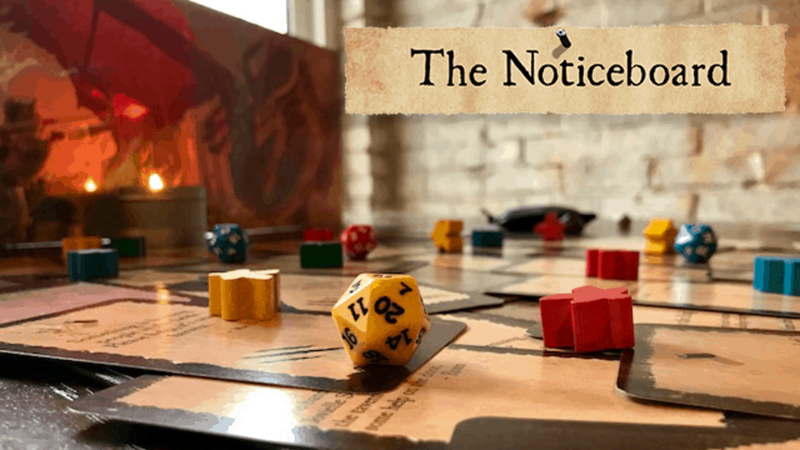 Of the 81 launched boardgame kickstarters, 21 didn’t reach their funding goal and 15 projects were cancelled. 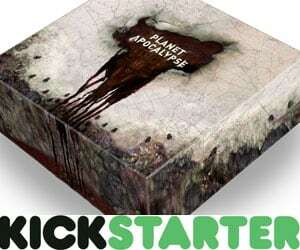 Below I’m mentioning a few kickstarter projects that reached specific milestones like for example ‘Most funded boardgame’. When it comes to the amount mentioned, I’m using €. Fluctuations of the amount are of course possible due to currencies getting stronger or weaker compared to the Euro. This explains why the amount mentioned might not be 100% accurate if you convert the funded amount at a later date. 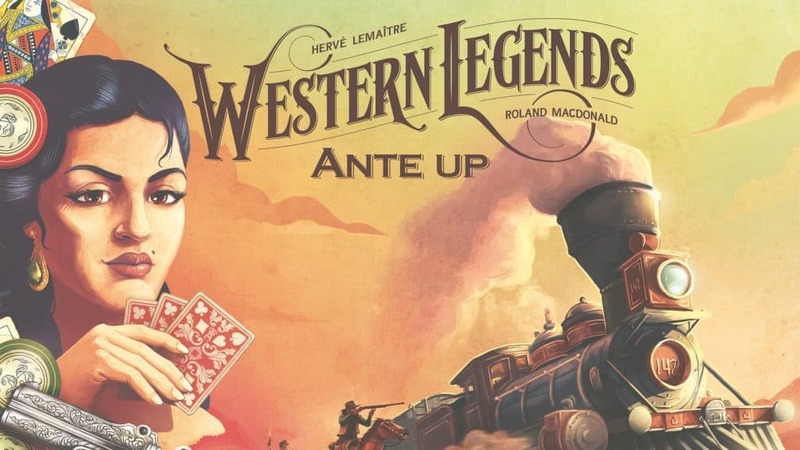 Western Legends: Ante Up takes the prize in both the “Most funded boardgame” and “Most backers” category. 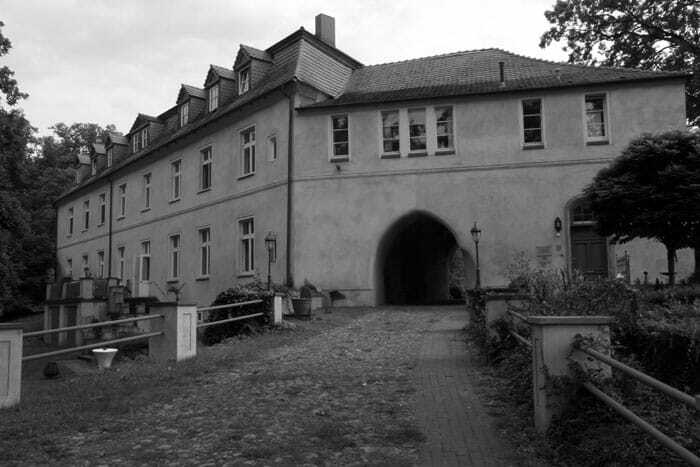 The project ended with 307.793 € and 6.819 backers. BlitzZone and Blitz&Roll is the kickstarter for which the backers plucked down the highest amount of money per backer. 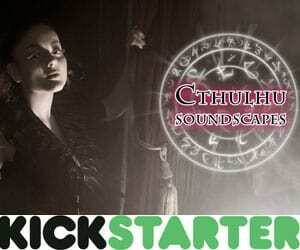 The kickstarter funded at 12.006 € with only 92 backers resulting in 130,5 € per backer. 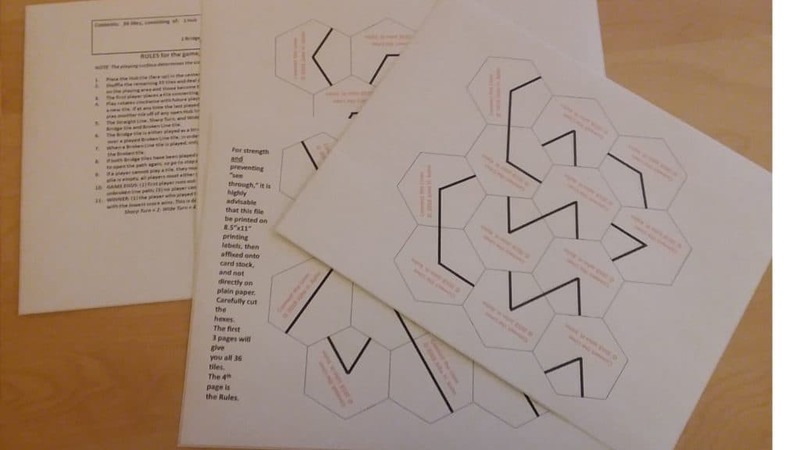 Connect the lines had 113 backers raising just 135 € which comes to 1,19 € per backer. 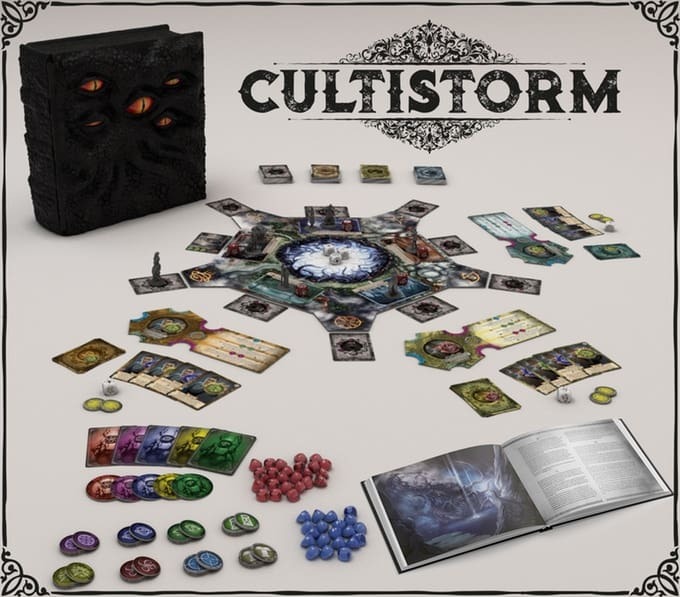 The Cultistorm kickstarter had amassed 173.138 € before being cancelled by its creator. 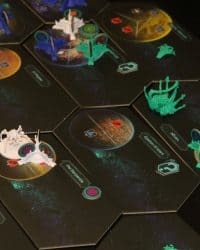 Purple Meeple Games will re-launch this kickstarter somewhere in the near future. 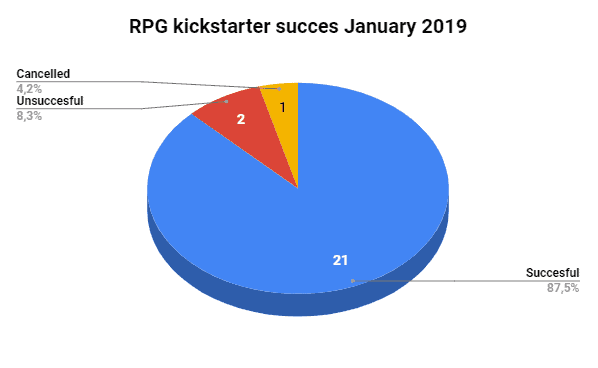 The succes rate for RPG kickstarters is at 87,5%. 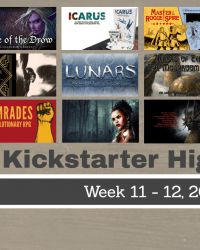 Of the 24 RPG kickstarters, 21 were succesfully funded, with only 3 projects not reaching their end goal or being cancelled. 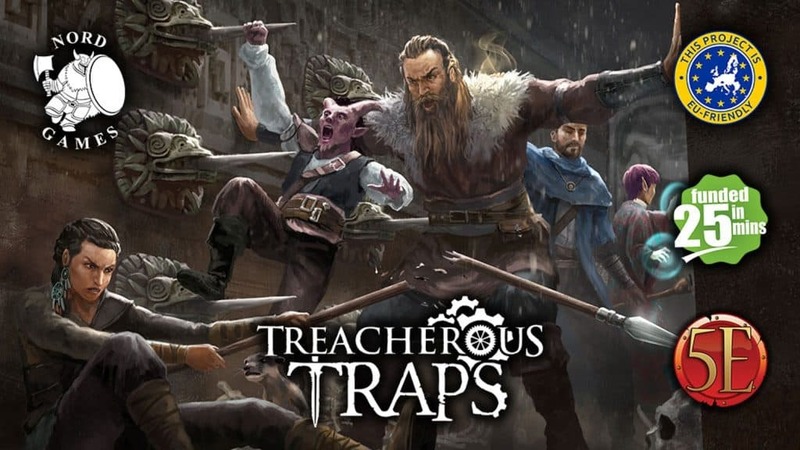 The “Treacherous Traps” kickstarter by Nord Games is currently the most funded RPG of 2019 ending its funding at 140.807 €. 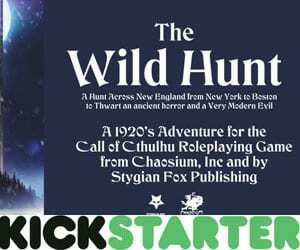 With 3.094 backers it’s also the RPG kickstarter project with the most backers. 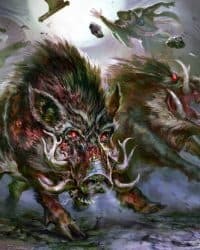 I also highlighted the project in my RPG highlights for week 3-4 of 2019. The Noticeboard from Wisdom Save Media have the highest amount per backer. 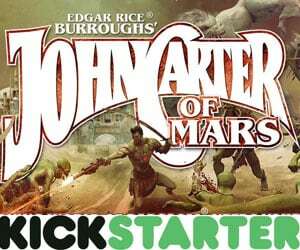 They raised 16.126 € with 230 backers making it about 70 € per backer. The “In name only” kickstarter by Doug Levandowski raised 537 € from 318 backers which makes the amount per backer only 1.69 euro. 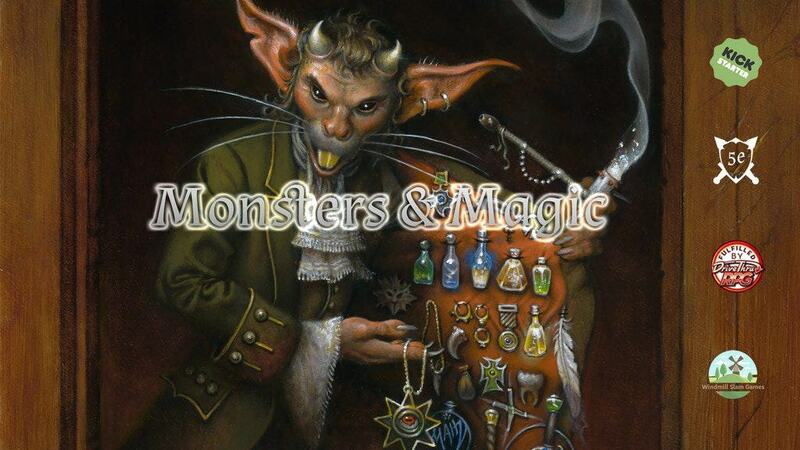 The Monsters & Magic kickstarter by Windmill Slam Games raised 5.961 € from 102 backers but that was not sufficient to reach its funding goal. 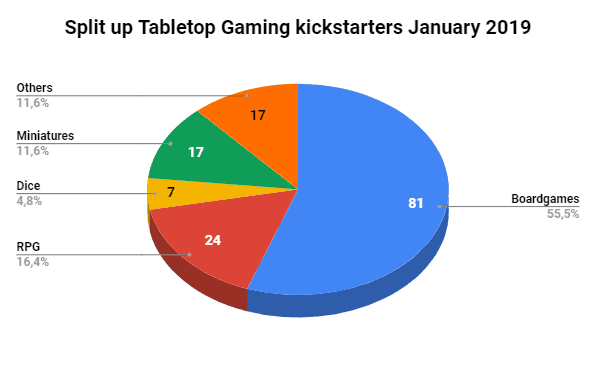 That concludes my overview of the most funded Tabletop Games kickstarters January 2019. 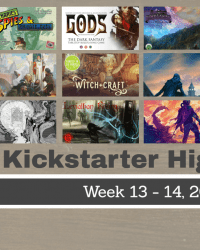 If you would like to have an overview of the most funded Boardgame and RPG kickstarters, check out my Top 20 most funded Boardgame kickstarters and my Top 20 most funded RPG kickstarters.